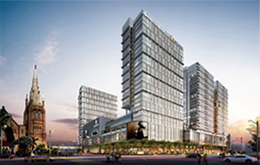 A multiple award-winning world class mixed-use development in the heart of downton Yangon that comprises Grade A offices, the 5-star Pan Pacific Yangon hotel, a lifestyle retail shopping centre, and premium serviced residences. 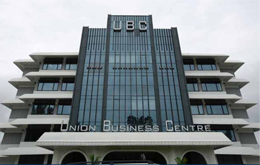 Union Business Centre is a prime Grade A office building in downtown Yangon, near the iconic Shwedagon Pagoda. With a professional asset management team, 24-hour full backup generators and security, and ample car parking space, Union Business Centre consistently enjoys high occupancy. 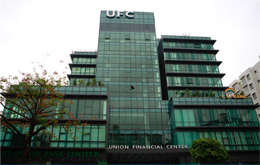 A distinctive landmark in Yangon’s city centre, Union Financial Centre is modern, Grade A office building with high specifications and environmentally smart features. Key tenants include international and local banks such as OCBC, ANZ, Bank of Tokyo-Mitsubishi UFJ, CB Bank and Myanmar Apex Bank.